A vibrant spirit with smoky and flowery notes. 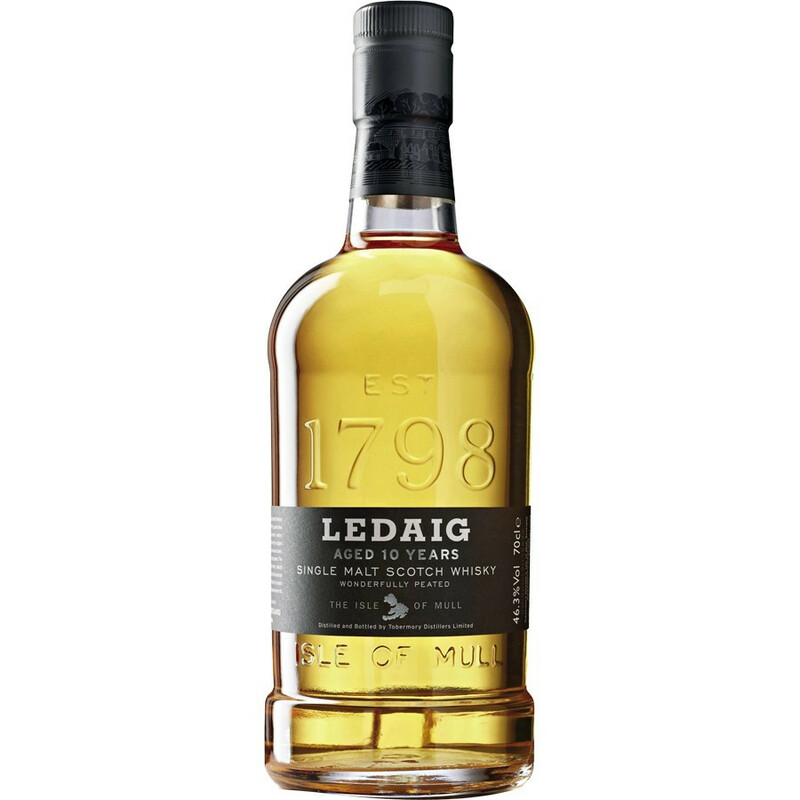 Ledaig is a wonderfully distinguished, dry, peaty Single Malt, aged in oak casks that have been resting in former vaults. The dark, aromatic waters of the Isle of Mull and the malted barley specifically dried over a peat fire result in a strong, bold whisky with vibrant floral and smoky notes. In 1795, the Tobermory distillery was established thanks to John Sinclair whose fortune allowed him to bring barley and coal from the Highlands by boat. However, because of its isolated location, the distillery closed its doors many times but resumed its activities in 1990. Soon after, it was bought by the Burn Stewart group. 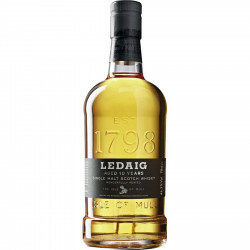 The particularity of this distillery is that it produces whiskies under two different names: Ledaig and Tobermory. Tobermory, name of the only village on the island, is characterized by its non-peated malts, its finesse and elegance. 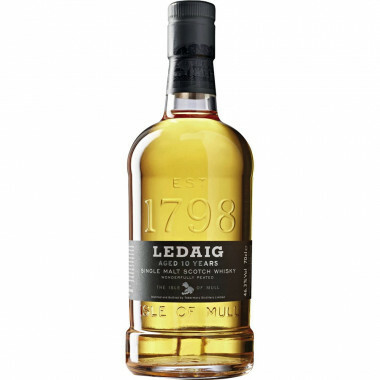 Ledaig (former name of the village) is peaty and developed with Port Ellen malts. The Burn Stewart society bottles all its single malts at 46.3 ° without chill filtration. Nose: the peat prevails, with a beautiful smoky presence and herbal edge. Palate: a mellow attack with a full-bodied spiciness. The smoke dominates without crushing the lovely fruitiness of pears and baked appels. A very well balanced overall indeed, with an elegant combination of the peat and other flavours: yellow wax, sandal wood and black pepper. Finish: an amazing finish with a lovely sweetness. Another side of the peat, and lovely contrast with the Islay style.